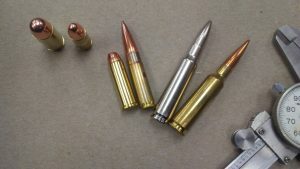 Teaches beginning re-loaders the basic knowledge, skills, and attitude necessary to safely reload metallic cartridges. This course is eight hours in length and is conducted in a classroom. Each student is taught reloading safety; center fire cartridge components; using the reloading manual and reloading data; equipment; and the metallic cartridge reloading process. Students will receive the NRA Guide to Reloading handbook, the Basic Reloading Student Exam, a course completion certificate, NRA Gun Safety Rules brochure. Minimum class size (4 students) – Maximum (6 students).